The Audemars Piguet Royal Oak Concept Supersonnerie is a minute repeater that lives up to its name - it is an exceptionally loud, clear and satisfying bright striking wristwatch - thanks to three patents for its construction. 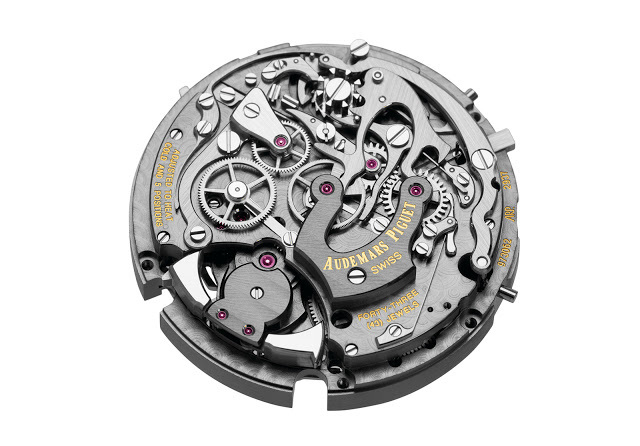 When Audemars Piguet unveiled the Royal Oak Concept RD#1 minute repeater last year, it was all cloak and dagger, since the patents related to its concept were still pending. 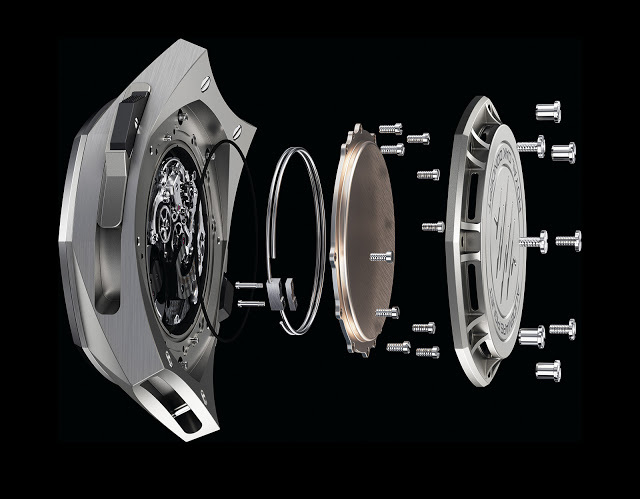 Now that the patents have been granted, the prototype has become a reality in the form of the Royal Oak Concept Supersonnerie that was just introduced at SIHH 2016. The Royal Oak Concept Supersonnerie actually features three complications, a chronograph, tourbillon and minute repeater. The first two are essentially superfluous, it is the minute repeater that is truly outstanding. 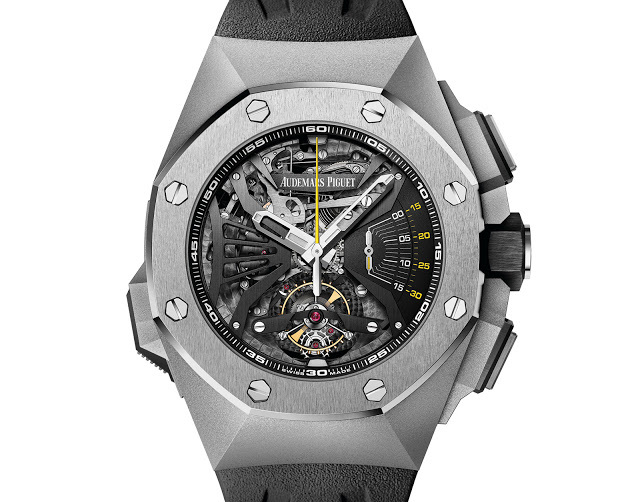 Audemars Piguet claims the Royal Oak Concept Supersonnerie chimes as loudly as ten pocket watch minute repeaters, a seemingly exaggerated claim but quite plausible once the Supersonnerie has been heard in action. Three patents were instrumental in building the Supersonnerie. The first relates to the manufacturing of the gongs, a process that creates an optimal gong which nonetheless needs to be filed by hand to tune it. The next patent concerns the case construction; the back is actually two pieces, an outer case back and an inner back that functions as a soundboard. Instead of being attached to the base plate as in ordinary repeaters, the gongs are attached to the inner case back, a thin disc of special alloy. This disc functions as a soundboard, amplifying the chimes of the repeater. 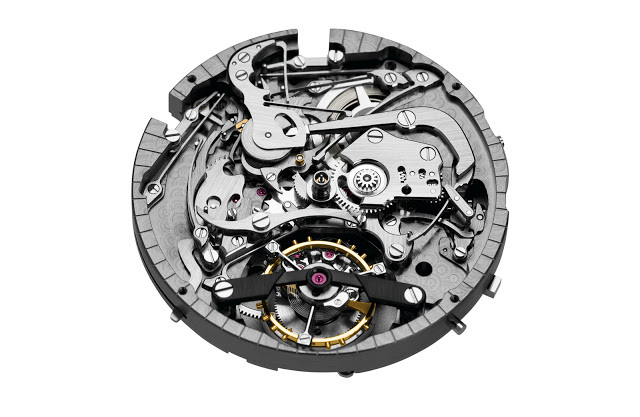 Notably, despite the large apertures in the outer back for sound transmission, the Supersonnerie is water-resistant to 20 m, as the inner back is sealed. Most minute repeaters are not water-resistant at all, since the cases are not sealed so as to improve the sound. The last key feature of the Supersonnerie is the silent governor. The mechanism that regulates the pace of the repeater chimes, the governor in the Supersonnerie has a built-in shock absorber that eliminates most of the noise typically associated with its functioning. This prevents the governor from interfering with the sound of the repeater. We will bring you more details on the Supersonnerie soon. In the mean time, follow our SIHH 2016 coverage for the latest from Geneva. Audemars Piguet stuck to its guns at SIHH 2016, but nonetheless put out a diverse line-up. 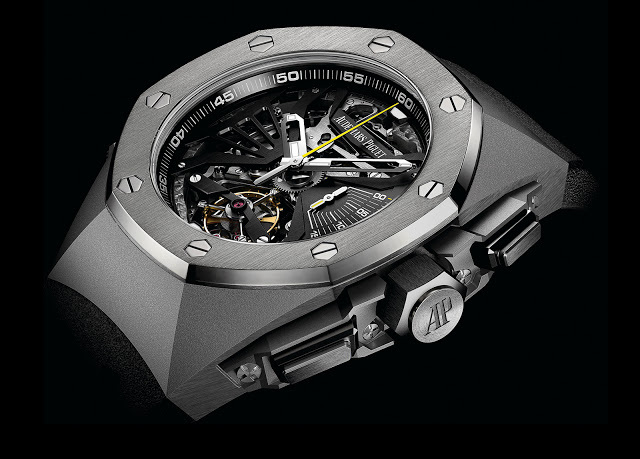 Here's a personal take on the offerings from Audemars Piguet, including original photos and prices.